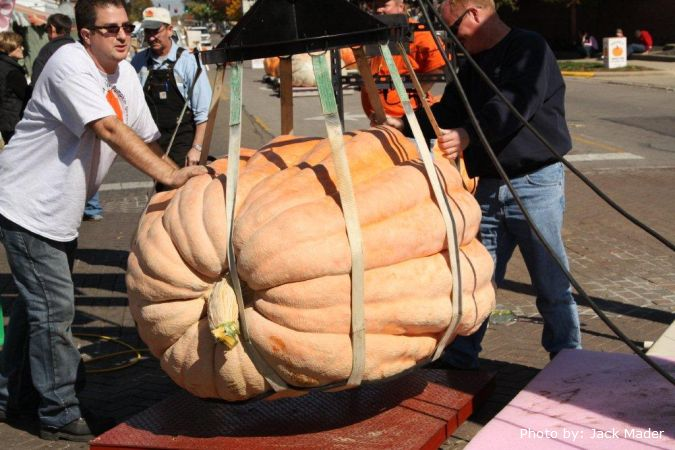 This weekend, the Circleville Pumpkin Show will celebrate all things pumpkin with giant pumpkin weigh-ins, a super-sized pumpkin pie and plenty of pumpkin-flavored foods. 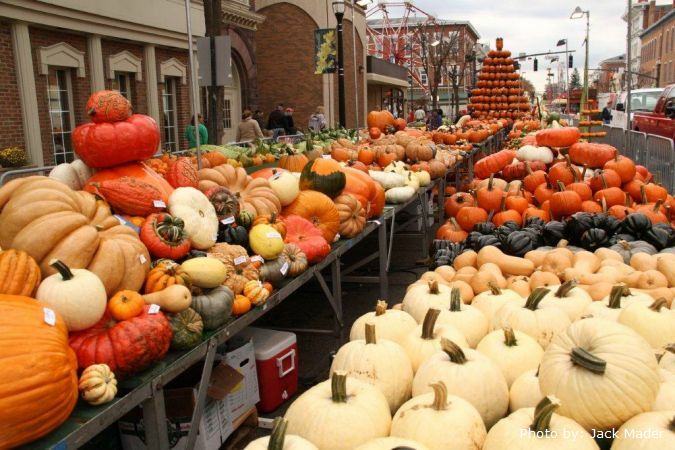 This small central Ohio town of 13,000 expects 400,000 visitors for its106th annual pumpkin show, October 17-20. The show kicks off with a weigh-in among area pumpkin growers vying for a coveted giant pumpkin trophy and perhaps a shot at breaking the world record set earlier this month when a Rhode Island pumpkin grower broke the one-ton mark with his 2,009-pound pumpkin at the Topsfield Fair in Massachusetts. No doubt, this season’s drought conditions presented challenges for many Midwestern pumpkin growers. A recent story in the Columbus Dispatch reports the drought reduced the number and size of pumpkins in many Ohio patches, but the summer’s abundant sunlight also produced more-attractive pumpkins. And growers who irrigated their crops have both better-looking and bigger pumpkins to offer this year. Two Midwestern states, Illinois and Ohio, are among the country’s top pumpkin-producing states with Illinois ranking #1 as home to Libby-branded pumpkin products and Ohio ranking #3, according to the U.S. Department of Agriculture.